Another year older..just a short post to acknowledge my birthday this year 2014 before we welcome the year 2015. A birthday cake specially made for me by my sister in law, Catherine. 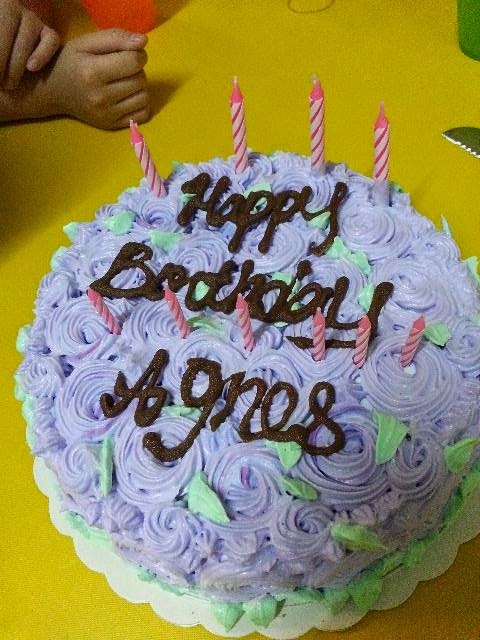 She notified me via facebook message, at a glance, I thought she bought a cake for me from the bakery shop. After dinner, we went to Bro's house to have the cake cutting ceremony. 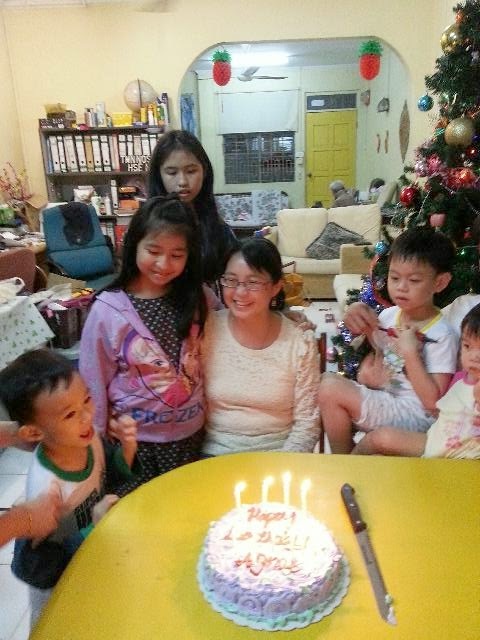 Kids are particularly excited with the candles lighted on the cake. Looks like I can resume my baking activities after more than 3 years of putting my cake baking stuff into the store..I have to dig them out to make a bread yesterday (which turned out to be slightly softer than a rock). Tonite, to respond to my daughter's persistent requests, we made chocolate cakes together. 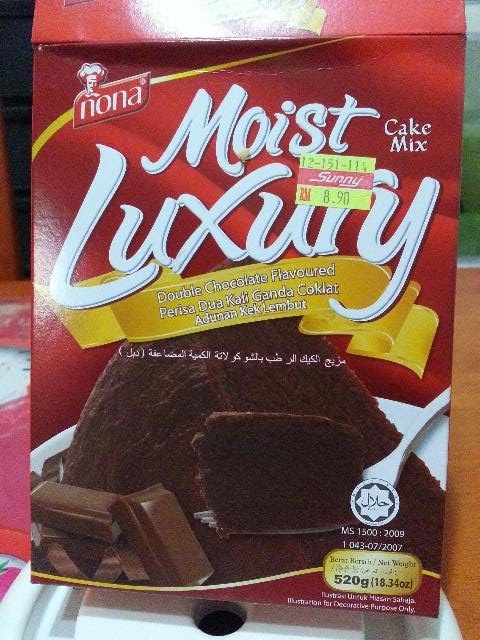 I bought a box of Nona cake mix for convenient sake. I let her read the instructions and get ready the ingredients needed. I only came in to do the tedious part and the best thing is she promised to do the washing which she did. I followed exactly 55 minutes of baking. 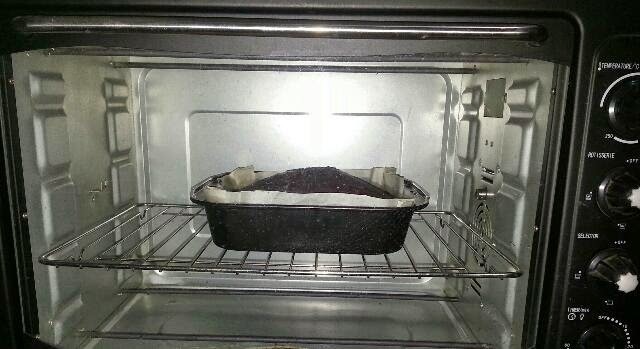 The cake was partly burned on the top and bottom. 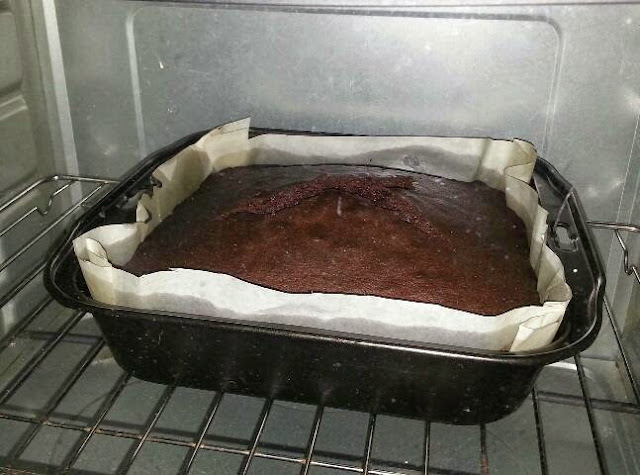 After cutting off all the burnt parts, only leaving the middle part of the cake for them to enjoy.